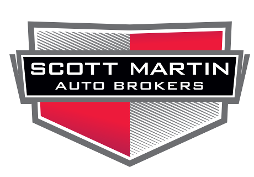 Get the best deals on your selected vehicle with Scott Martin Auto Brokers. We offer first-rate auto leasing and car buying service. You deserve to own and drive your dream car without breaking the bank! Contact us today for more information on our service rates. Find excellent auto lease deals with the help of Scott Martin Auto Brokers, a car broker based in Calabasas, California. We help you purchase secondhand or brand-new vehicles at reasonable prices. With more than 10 years of experience, our auto brokers take pride in providing goal-oriented auto leasing and car buying services to our valued clients. Scott Martin, our founder, has been in business for more than five years. After spending years working in the industry, he was promoted as a manager and then decided to become an independent broker. An honest and client-focused individual, Scott wants to change people's perception about car salesmen. He is passionate when it comes to helping clients find and purchase their dream automobile. Contact a seasoned car broker in Calabasas, California, if you're looking for the best auto lease deals.